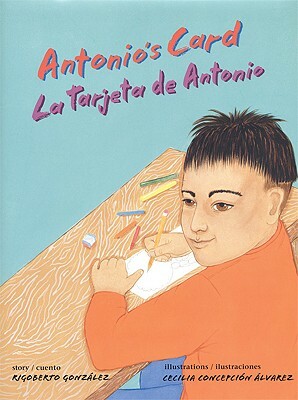 Antonio loves words, because words have the power to express feelings like love, pride, or hurt. Mother's Day is coming soon, and Antonio searches for the words to express his love for his mother and her partner, Leslie. But he's not sure what to do when his classmates make fun of Leslie, an artist, who towers over everyone and wears paint-splattered overalls. As Mother's Day approaches, Antonio must choose whether -- or how -- to express his connection to both of the special women in his life. Rigoberto Gonzalez's bilingual story about a nontraditional family resonates with all children who have been faced with speaking up for themselves or for the people they love. Cecilia Concepcion Alvarez's paintings bring the tale to life in tender, richly hued detail.